The Shewee Go is a urinating device for active sportswomen which may be worn for all adventure sports pursuits and is also suitable for medical applications. Its unique design allows women the comfort and freedom to urinate on the go with ease. After extensive trials we have achieved a 95% success rate. Shewee Go is worn like a g-string or thong and is fitted inside tight fitting elasticised shorts for comfort and privacy. Held in position with 3 adjustable and flexible straps, the soft rubber Shewee Go seals comfortably in place outside the body. 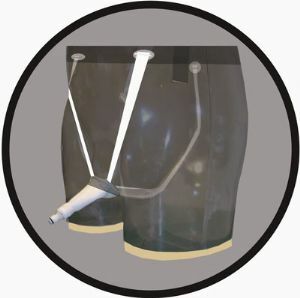 The outlet passes through a fly in the front of the shorts, the male part of the snap connector is fitted to the end of the Shewee Go and the female part is then attached either to a length of surgical hose/tube leading to a collection bag or to a P-valve to enable urination through dry clothing. 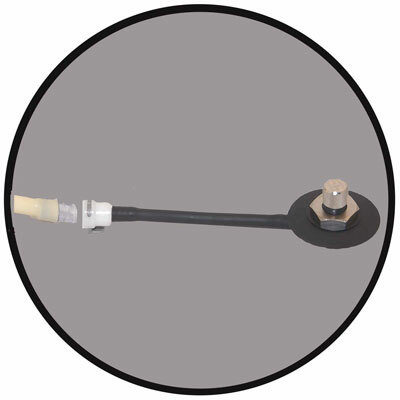 (P-valve shown for illustration purposes and is not included with the Shewee Go). By simply connecting the two together you are ready to use. 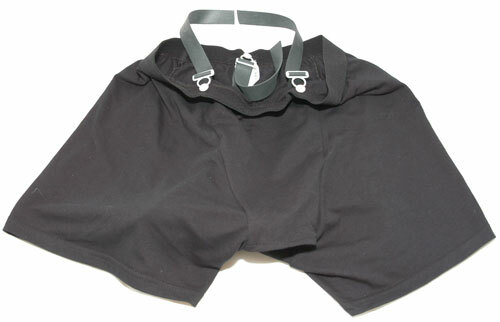 To enable urination through dry clothing a P-valve may be fitted to the inner thigh where it can be easily reached. On the dry side of the P-valve a flexible surgical tube is connected to the Shewee Go. Shewee Go may be hand washed after use without need for readjusting fitment. * No adhesive for fixing. * Adjustable support belt system. Persons with sensitivity to any of the materials listed should not use Shewee Go.